DSPs are used to measure, filter and/or compress analog signals. 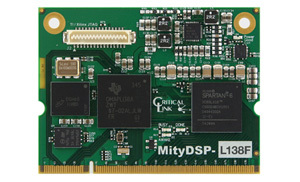 DSPs are commonly used because of their small form factor, relatively low power consumption, and computational speed. The computational power of DSPs often makes digital signal processing preferable to analog processing, even given the overhead required for analog to digital conversion (ADC). Using real-world analog signals, a DSP clarifies or standardizes the levels or states of these signals to eliminate chaotic noise. For example, an incoming signal may be analog transmitted via a standard television broadcast station. An ADC converts the television broadcast analog signal into a number stream or digital signal. The incoming digital signal, representing either voltage or current measurements (or both), may contain noise preventing the standard value signal transmission. 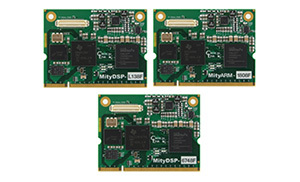 The DSP can be used to process the digital stream of data for a variety of purposes, including noise reduction, power amplification, or signal recovery. 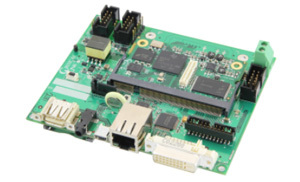 A digital-to-analog (DAC) converter will, as needed, convert the digital signal back to analog. Digital signals generally fall into one of the following domains: time, spatial (multidimensional signals), frequency, autocorrelation, or wavelet.